WhatsApp: What number can I send a photo or chat message to? 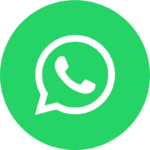 You can use WhatsApp to connect to our technicians directly. However, WhatsApp accounts can’t be shared between several telephones! Would you like to send photo’s after an inquiry? Please ask the technician for his personal number! Customers can use WhatsApp to share their location with us. Location sharing is useful if you are in a complex area like a shopping mall. Caution: make sure you know who you are sharing your location with! Turn off location sharing after using it. See your phone settings!